(Byron) You never know what you might catch when you go trout fishing at Los Vaqueros Reservoir. Jjust ask Gayle Greer of San Jose, who landed a 23.9 lb striped bass, according to Brian Demmunik at the Los Vaqueros Marina. He was fishing PowerBait from shore in the south cove when he hooked the fish. The trout fishing is going strong at Los Vaqueros, though not as hot as during the previous week. “Most people are catching a few fish, but we’re not seeing as not as man limits as the week breofere when everybodyo limting out,” said Demmunik. Big trout honors go to Alex Xavier of Hayard, who landed a 7.57 lb. rainbow while was using a Rapala in Peninsula Cove. Bryer Smith of Santa Cruz bagged a 6.69 lb. rainbow while fishing a Kastmaster in South Cove. Finally, Martin Villafuerte of San Jose was casting a Roostertail in South Cove when he caught a 7.19 lb. trout. Mt. Lassen Fish Farm is now planting 1,000 pounds of rainbows every week. The water level is currently at 82,100 acre-feet, about 50 percent of capacity. The water temperature is 54 degrees. The water clarity is fair with some creek run-off clouding up South Cove and Cowboy Cove. Mice Tails, PowerBait and worms have been the most successful colors are chartreuse, spring green, green pumpkin, and the garlic scent. The Main Rec. Area, the Pines and the Oaks are also producing plenty of fish. Jason Joshau of Oakland landed 5 trout up to 7.3 lbs while using worms in Scow Canyon. Steve Reaves of Richmond caught a 6.3 lb rainbow while fishing in Scow Canyon with PowerBait. 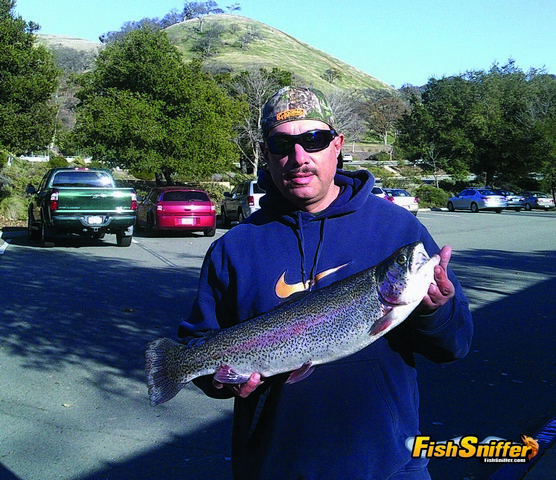 Ramano of San Jose caught a 3.7 pound trout using PowerBait. Chris Carter of San Ramon and Grandpa nailed 2 limits, the largest going 4.23lbs, while fishing PowerBait and MiceTails. Cassandra Ross of Los Gatos caught 3 trout weighing up to 4.11 lbs while using Power Worms. 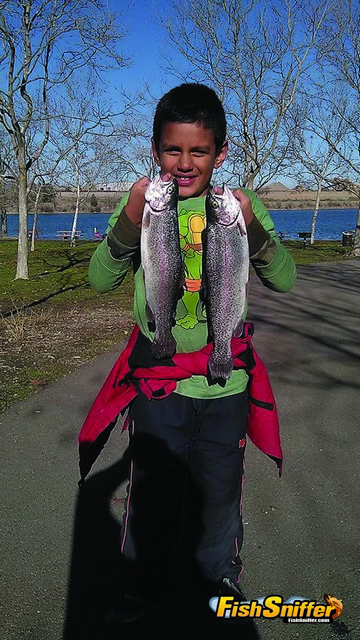 Raul Martinez of San Pablo nailed 4 trout at the rock wall while soaking PowerBait. Leland Hawkins of Richmond caught a 9.18 lb trout using PowerBait at the oaks. Ron Edwins and friends of Benicia caught 15 trout, the largest weighing 3 pounds, fishing PowerBait and worms in Scow Canyon. The lake level is 297.5 feet in elevation and the surface water temperature is 55 degrees. The latest plant featured 900 lbs of Mt. Lassen Trout. (Lafayette) Fishing is starting to pick up, while the reservoir has received 11,350Lbs of planted trout for the season to date. “As the weather seems more spring like, the fish are starting to react,” said Richard Lovato of the Lafayette Recreation Area. “Ed Warren pulled out a 4.15 lb. rainbow trout at Harry Cove with Power Bait. Effren Tumbaga Jr caught a 10.3 lb. trout using PowerBait from the shore by the cove. And numerous others are relaying their catches,” Lovato stated. (Pleasanton) Anglers have reported catching trout off the shoreline, including the Stanley Dock and surrounding areas, as well as from kayaks around the lake, reported Joe Sullivan of the East Bay Regional Parks District. Joey Hendricks from Pleasanton caught a beautiful-looking trout trolling the main lake with a tiny worm on a Rapala floating. Willie from San Jose caught a 5.7 lb. rainbow using a Kastmaster near the second dock. Steve and Jeremiah Molina caught a 7.5 lb. trout from the shoreline. The CDFW stocked Shadow Cliffs with 1000 pounds of rainbows the week of February 15. (Livermore) The most exciting news from Lake Del Valle is the capture of a new lake record channel catfish. Ricky Garcia of Livermore caught a 34 lb. channel catfish while using anchovies in the Lower Narrows, reported Tim Rowland of the Rocky Mountain Recreation Area. And that wasn’t the only monster fish caught in the reservoir lately. Michael Hollister of Fremont landed a striped bass weighing 31.81 lbs while using a nightcrawler by the West Beach. Giqo Luong of San Mateo nailed a striped bass weighing 17.15 lbs. while fishing anchovies at the West Beach. 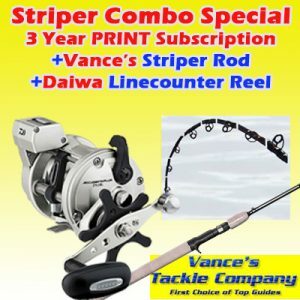 Kenny Khu of Livermore also bagged a striper weighing 18-3/4 pounds while using anchovies in Swallow Bay. 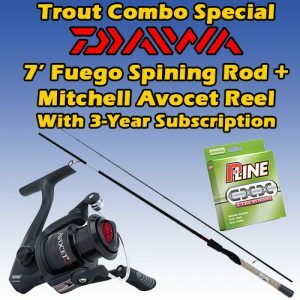 “The best baits to use have been Mice Tails; you might try jigging them for the best results. Power Worms, PowerBaits and Power Eggs in all colors and also nightcrawlers, with a little air injected into them, will work also. 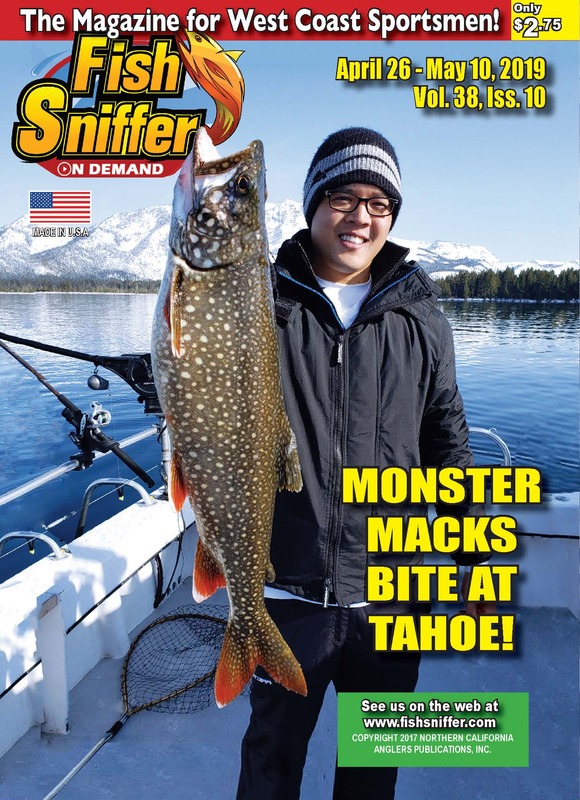 The top lures include gold Kastmasters, Rooster Tails, Rapalas, and Panther Martins,” he stated. The park district planted 750 pounds of rainbows the week of February 15 and the CDFW stocked 1000 pounds the week of February 22. (Fremont) Rainbow trout are biting at Horseshoe Lake, located in the Quarry Lakes Recreation Area. The park district planted 500 pounds of rainbows the week of February 15 and 750 pounds the week of February 22. Patrick and Logan Batacan caught some quality trout and a seven-pound catfish while soaking Power Eggs in Kiosk Cove. Finally, Rich Rasmussen of Newark caught a “stupendous looking five-pound trout” on Fishermen’s Row, said Sullivan. Currently the boat ramp and fishing pier are both open and the water is on the rise. Note that the use of lead fishing tackle is prohibited at Quarry Lakes.